VRPhysio is making smart virtual reality devices for physiotherapy and preventive workout. VRPhysio aims to make home physio workout fun, easy, with real time feedback including biofeedback accessible to both the physiotherapist and the user. 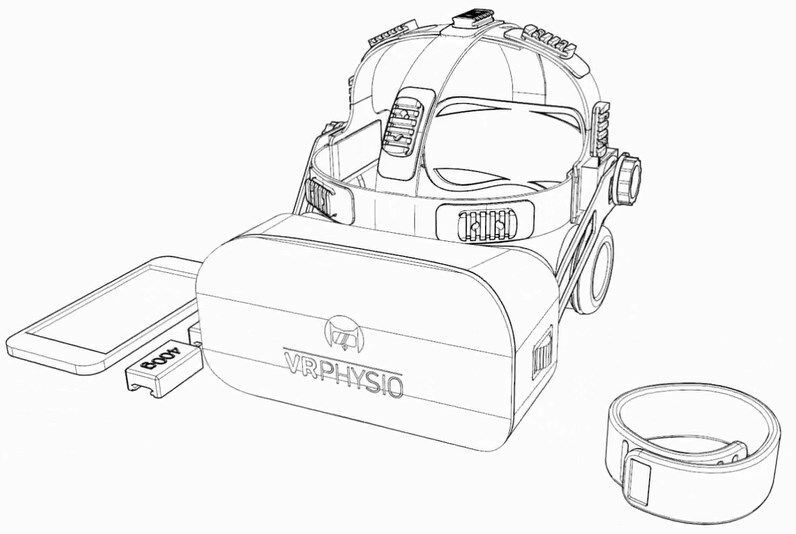 VRPhysio is combining the world of physiotherapy and virtual reality to re-define the way we experience physiotherapy. 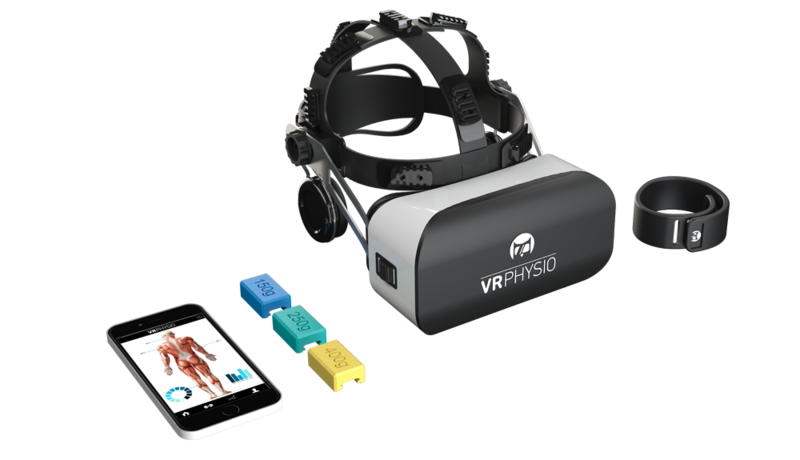 VRPhysio’s solution is a virtual reality (VR) device consisting of a headset incorporating detachable weights and optional biosensors and an app downloaded to the user's smart phone. The smartphone is inserted into the headset and is used as the devices display. 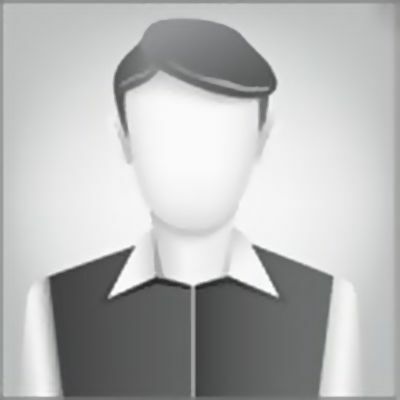 The user experiences the training as a fun and immersive game, through which he conducts the correct exercises planned by his physiotherapist. Not only can the physiotherapist and doctor have access to the user’s training data through the connected app, but a set of optional biofeedback sensors monitor and change the game and training session while the user plays. Injury recovery and preventative workouts - targeted injury recovery and preventative workouts through fun an immersive virtual gaming and real time monitoring. 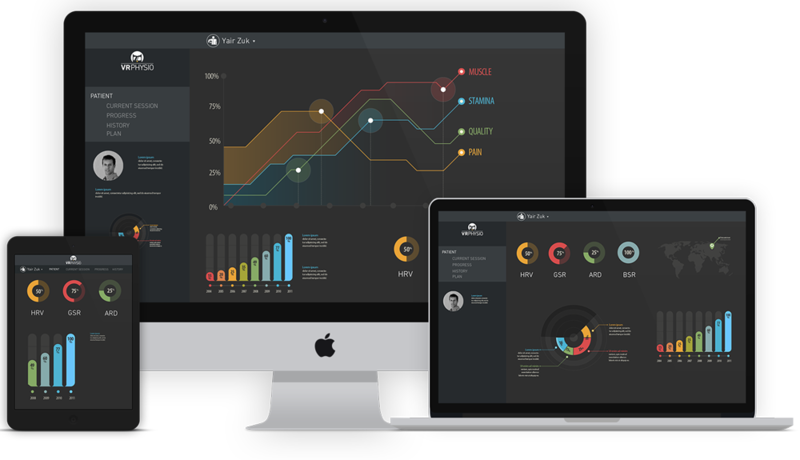 Healthcare professional Monitoring - Remote data access allows your healthcare professional to monitor your workout and change your gaming experience according to your needs and progress. 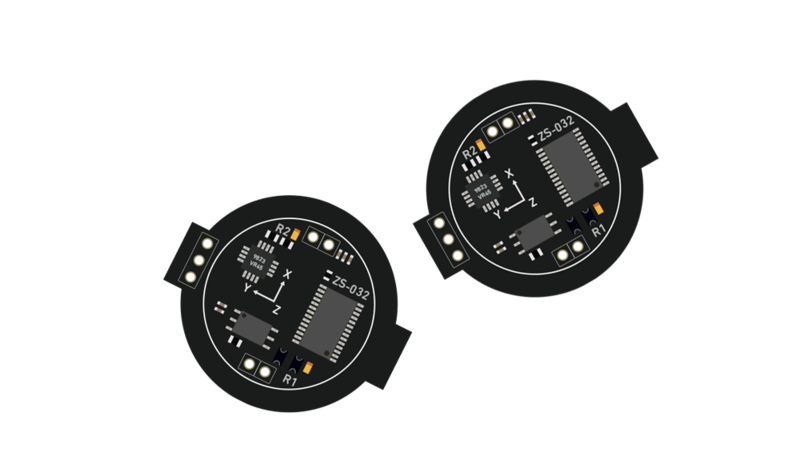 Biofeedback sensors - the headgear and body sensors monitor your body’s movements while biofeedback sensors monitor your body’s measurements encouraging constant improvement. VRphysio’s business model is based on several revenue channels which can be worked simultaneously. The company’s strategy is to examine each channel individually in order to determine which ones are the most beneficial. The revenue channels are not contradictory to one another. In order to use the product, the customer will have to purchase the headset (including weights and premium app access) and optional attachable biofeedback sensors. The app will be free for download. The product will be offered to use by medical clinics and private physiotherapists as part of the medical treatment and service to the customer. The app will include premium features which will be charged, for example: access to more training games, expert physiotherapist follows up and instructions according to user’s data. The company will use the enormous database gathered by the customer's smartphone apps and biofeedback sensors by logging their training data and analyzing their healing process. This data will be used to determine which physiotherapy protocol is more sufficient than others and what protocol makes the healing process faster and better. Eran founded VRPhysio in 2015. 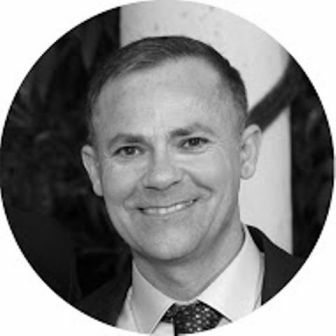 He has significant experience from the physiotherapy prevention industry, previously serving as Initiator and coordinator of the IDF spinal cord damage prevention program for air crew personnel. Eran is an Ex IAF Executive officer. 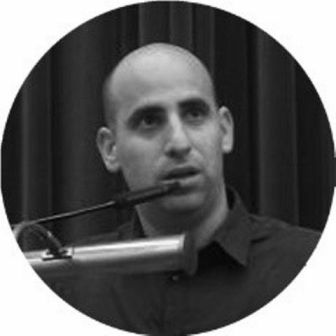 Eran holds a BA in Business Management, Government, and Politics from Ben Gurion University, and soon will graduate an MBA in Entrepreneurship and innovation Business administration. Aryeh has 26 years of experience as a physiotherapist, including 8 years as Lt. Col. and chief medical officer Physiotherapy consultant, Medical Corps - physiotherapy department. He has a Private physical therapy practice – an orthopedic rehabilitation and pain treatment. Previously serving as a physiotherapist at Clalit Health Services. Aryeh holds an MHA in Healthcare Administration and a B.PT in physical therapy from Ben Gurion University. Jon is an UX designer of digital and physical experiences. Jon has a vast experience as a designer and technologist. His the inventor of the IDF ‘mek-porek’. Jon hold a B.Des from TH Koln Germany and an M.Des in Design and Tech from Bezalel Art Academy Jerusalem. 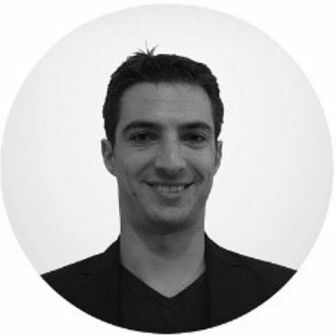 Oded is an Ex IAF Executive officer, specialist in project management and gaming. 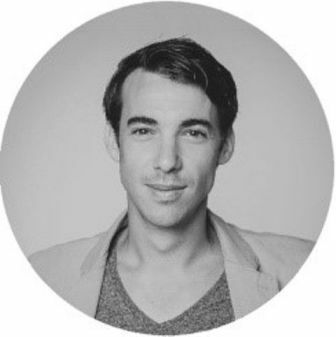 He holds B.A in Economics and Management from Ben Gurion University and soon will graduate an MBA in Entrepreneurship and innovation Business administration in Tel-Aviv University. Yair is an Ex IAF Executive officer, Highly Experienced in Business Development & Marketing strategies. 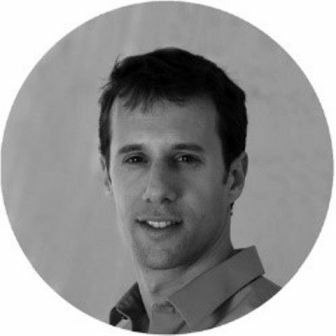 Yair holds BA in Information Technologies Management from Ben-Gurion University and an MBA in Technology, Innovation and Entrepreneurship from Tel Aviv University.